Marbella offers residents breathtaking views of the Gulf of Mexico, Pelican Bay and the Naples skyline from huge terraces. Amenities at Marbella include concierge services, valet services, fitness center, complimentary tram rides to the beach, community pool and on-site restaurant. 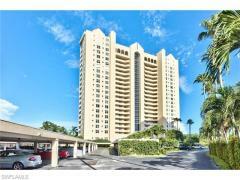 Have any comments or questions about Marbella Condos? Ask your question and/or share your thoughts about this Building.